Magnetic Iron PLA is a compound of Natureworks 4043D PLA and finely ground iron powder. This filament responds to magnets and behaves similarly to pure iron, even to the point of rusting! Magnets will stick to your prints! 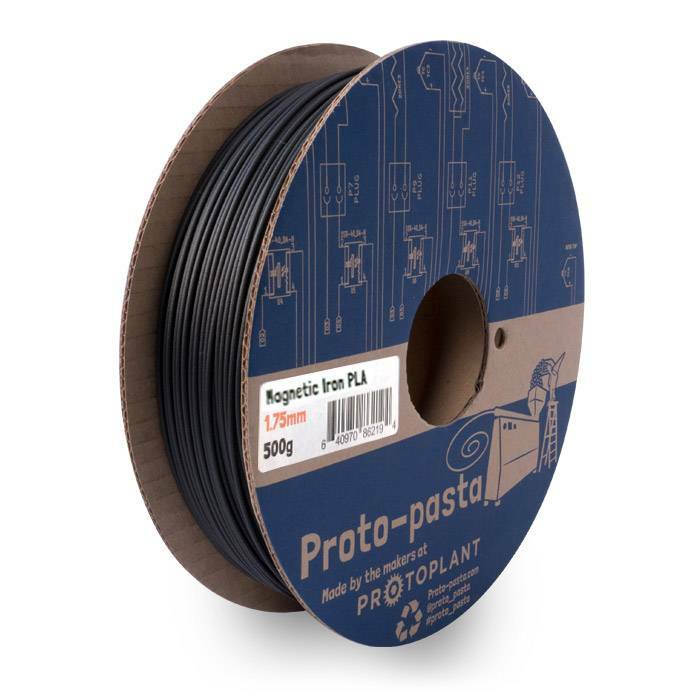 Magnetic Iron filament in black. This filament is more abrasive than standard PLA. Prolonged use may result in accelerated nozzle wear. Iron is defined as “magnetic” but it is, more accurately speaking, ferromagnetic. In short, magnets stick to it. So, you should note that magnets stick to prints made from Magnetic Iron PLA, but printed objects will not function as magnets. 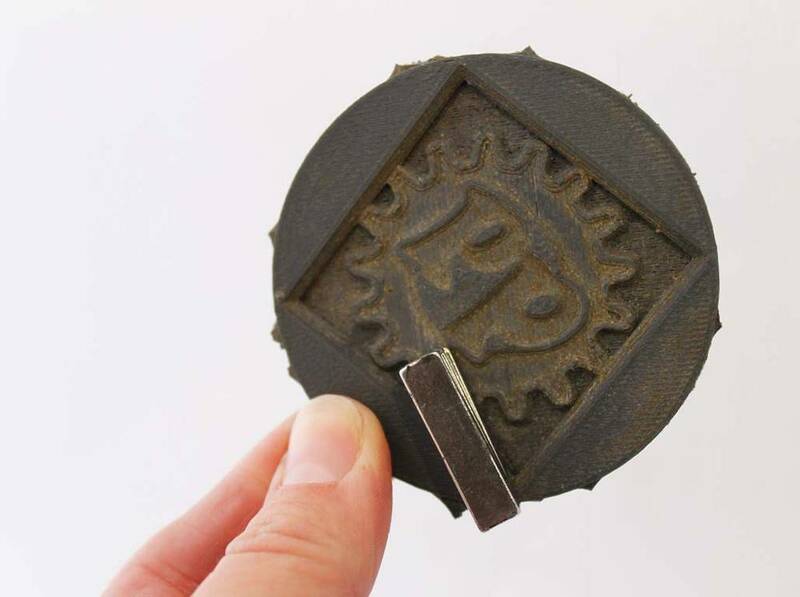 It is called Magnetic Iron PLA to communicate that this material allows users to include the added benefits of magnetism when designing and printing 3D objects. Processing is comparable to standard PLA. 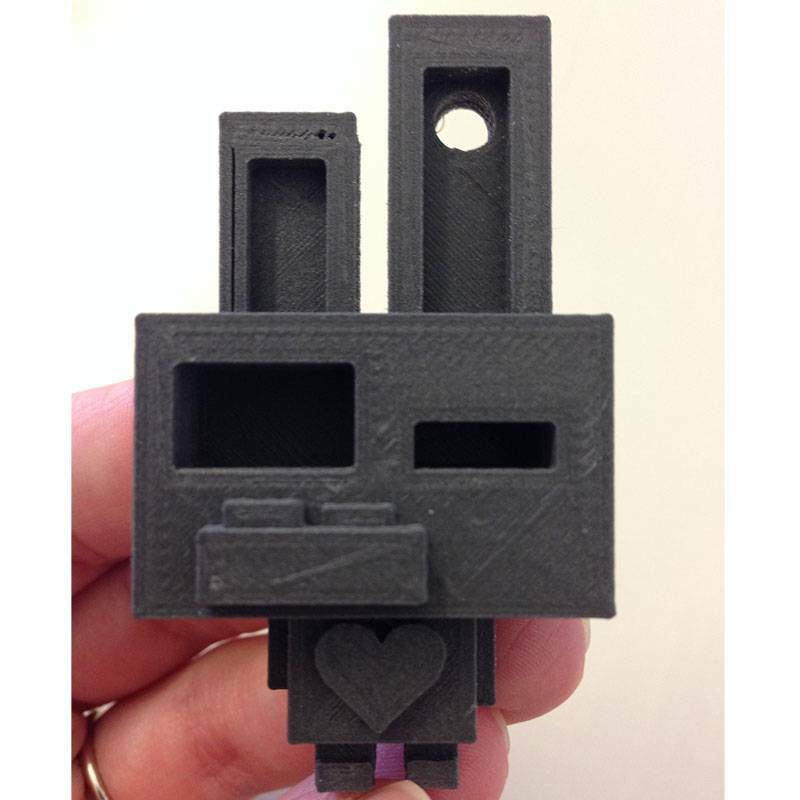 If you print with a heated bed (if available, is not required) set the temperature at about 50° C. Due to increased brittleness, process may be less consistent on smaller nozzles and/or bowden type machines. Good results were achieved when printing at 185C using a .5mm nozzle and direct-drive spring loaded pinch-roll style extrusion head. Quick cooling seems to increase the tendency to warp, so you might try turning your fan off and slowing your printer down a bit.